My two boys before they were teens. Wow. I never used the random number generator before. It was kind of exciting. Marcie and Summer are the winners. Please get in touch via my email: ellen AT ellenhartman DOT com. Let me know if you'd rather a print book or an ebook. 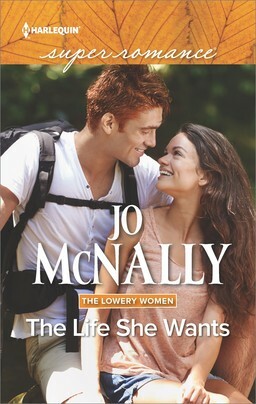 With the two books I have coming out this year, I'm at a grand total of eight Superromances. Exactly half of my books include a teenager in a significant role. Sometimes I tell myself, "Smarten up, Hartman. Write about a baby, or better yet twins. Books with babies on the cover sell like hotcakes." Teenagers, on the other hand, are solid gold secondary characters for a romance novel. Teenagers do dangerous, bad things. And their parents are rapidly losing the capacity (legal, physical, etc.) to stop protect them. Teenagers are articulate, observant, and scathingly honest. Especially when it comes to their parents' flaws. Teenagers want desperately to be loved and respected as individuals precisely at the moment in their lives when they are least able to ask for affection and connection from the adults who care about them most. The teenager and caregiver relationship is a delicate dance and it's so easy for either side to mess up the steps. Teenagers know their parents' hopes and dreams intimately. This makes them uniquely suited to crush those same hopes and dreams. Look at that list! Who wouldn't want to write about teenagers? 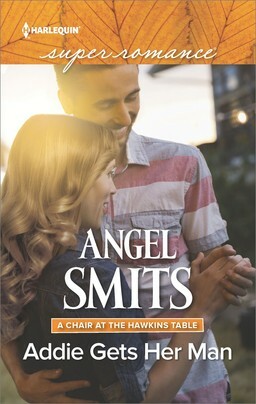 They're chaos and heartbreak and love all wrapped up in a package capable of hilarious dialogue and rich, dramatic scenes. There is an element of fear running through the interaction of many of my characters and their teenage children. In His Secret Past, Mason Star is afraid that he hasn't been a good enough dad to his son, that somehow his own inadequacies as a person have left his son open to succumbing to bad influences. In Calling the Shots, Clare worries that her son will stop needing her and that she won't be able to keep him safe, while Bryan worries that his daughter will decide to move to California because a relationship with him doesn't have much to offer. That fear brings out the vulnerability in the characters and reveals their deepest desires. It's rich territory for an author writing about relationships. Deacon slammed his hand against the glass door of the university administration building and stalked through. He made no attempt to hold the door for the idiot he called a brother. In fact, the way he felt right now, he hoped the door would hit Wes in the face. The kid desperately needed someone to knock some sense into him. As if Wes wasn't trouble enough, Deacon also gets roped into coaching a girls' high school basketball team. I enjoyed myself thoroughly as I wrote all of these complicated and fascinating kids. So who has a teen story for me? I want to hear about the time the teenage you pushed the boundaries or had a revelation. What about teenagers you've raised or worked with? What's a moment that captures the joy of caring for kids who are this special age? 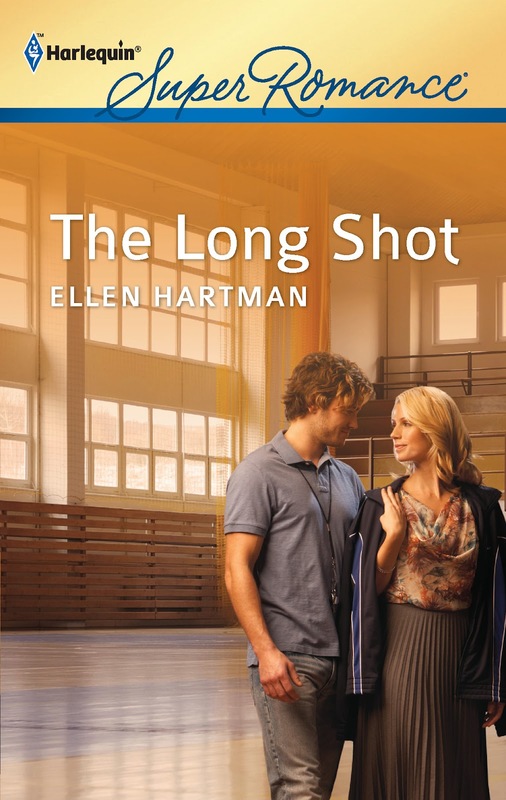 I'm giving away copies of The Long Shot to two people who comment! **Kidding. I know why babies are appealing. It's their tiny little toes. Plus the gummy smiles. And their soft hair. Or the way they snuggle up when you hold them just right...sigh. I have a new nephew and now I really want to drive to his house and hold him. Ellen, I've written a few teenagers in my stories over the years. As you say, they're a great source of conflict as well as humor. I've also survived three teens of my own. With anything else that would make me an expert. But when it comes to teenagers you can always be surprised. What a helpful post! I've got my personal conflict generators rampaging recklessly right in front of me. Hmm, then the covers- I'm not sure. I don't buy my books by the cover. In today's ironic news, I must rush out early to a meeting at the high school about my own beloved teen. I'll be back to comment more later! I didn't have much respect for my history teacher in my sophomore year of high school. I thought he favored the sporty boys, picked on particular people, and was a bad, random, unprepared teacher. He assigned a "research" project, but true to form couldn't be bothered to articulate a defined a topic. Instead he told us to read one of the books referenced in the credits at the back of our history text book. I scoured that list until I discovered...drum roll please...Gone with the Wind. The lovely bonus is that I fell in love with Gone with the Wind and read it several times that year. I hadn't expected to like it--I was just intent on bothering my teacher by reading fiction for the research project. Hee. I just realized that because of my interest in the Civil War, I set the first date between Cooper and Jorie in Married by June at a Civil War museum. My early rebellion has certainly had a lifelong effect on me. I wonder what my history teacher would say. Okay one more thing...my disclaimer. You'll notice my post about teens has adorable pre-schoolers on the "cover." I'm not discriminating against my teens. I try not to post current photos of my kids on the Internet. Glad to know my future teen characters would be welcomed by you! Personal conflict generators...hee! I love it. I love writing the scenes where the parents are trying to find something out and the teenagers are trying just as hard to keep their issues private. Even when the conflict lies outside the parent/child relationship, it causes trouble! Your new book sounds great. Congrats on getting 4 1/2 stars from Romantic Times. I would give all of your books 10 stars! My daughter is only 13, so I have a few more years to see her full teen potential. Growing up, I was the good girl. straight A student, followed the rules. My year younger brother was the complete opposite. When we were teens, my Dad had to go out of town for the night. He told us we could have 1 friend over. I had my best friend Karen come over. My brother invited 100 of his friends over for a wild loud party. Of course, my Dad found out when the neighbors told him. Haha, Ellen! You had me at the photograph. They are so cute. I have a man (though he'll always be a boy in my mind and heart)--he's turning 21 in 13 days. I loved teen boys, when they filled my house with game controllers, pizza boxes, shouts and giggles. I was well-behaved in comparison to my brother and sister, but I didn't tattle. I think I was a little oblivious, actually. Thanks for your kind words! I was thrilled with that RT review. Nice to know someone else loved Deacon's story. I'm imagining you and your one well-behaved friend in the midst of the wild party. Too funny. How do teenagers think they'll pull those things off? Good luck with your little one. My younger boy won't actually be a teen until July, but he's definitely feeling his oats! I love that photo, too. I have another from that same day with their little red-headed cousin. It's so sweet. Hugs to you and your man. What a milestone! They will always be our babies, won't they? I'm shocked at how much I know about video games...had to educate myself so I could participate in dinner conversation. Other than having to relive Algebra, I'm enjoying my teenager. He's old enough to not want Mom at his 14th birthday party so I'm going to a writing retreat. There us the matter of feeding them. After years of begging him to eat he now orders French Toast AND oatmeal. Kristina--I just had to relearn** how to do systems of equations. Thank goodness for the Kahn Academy videos. **"Relearn" in my case is not quite accurate. It's possible I actually learned how to do them for the first time just this month. Don't tell my teen. I agree, Ellen, that the picture of your sons is so sweet! My nephew is 11 and when I look at pictures of him when he was younger it makes me want to cry. They grow up so darned fast! My sister and I were much adventurous (read "misbehaved") when we were teens than our brothers were. We did things like sneak out the car only to end up in a ditch--before we had our licenses. The boys did things like invite horses into the living room. Needless to say the boys are the golden children in our family. :-) Thank you for the fun post! Romance and YA are the genres I gravitate towards most, so having a secondary teenage character in an otherwise adult story is a bonus for me, like two great reads in one. Can't wait to read your book! Have a wonderful day! I've always told people I loved my children in every stage of their lives but never wanted to go back to any of them. LOL. That is especially true of the teens. My son was the easy one. My daughter was a terror. I'm in no rush for my granddaughters to turn into teens. Nice post, Ellen. I always love your humor. Congrats on the nice review! Hi Kathy--I love your description of the difference between the girls and the boys in your family. Somehow, I don't think I'd find the "horse in the living room" type of teen any better than the "car in the ditch" type. I like the "homework done" and "Mother's Day gifts purchased" type best of all. Wonder where I can find one of those. What an adorable picture! I personally love teens in romance novels. They're an absolute treasure chest of drama, angst, polar moments of maturity and immaturity, love and hate. Man I could go on :). When I read about them, it lets me feel like I'm not the only one in the world wondering if I'll survive teenage parenting. I truly wonder that at times. I mean, how could a parent who is too old, inexperienced, gullible, stupid and uncool (I'm sure I've heard more descriptors) possibly have anything over a born-with-all-the-knowledge-of-everything topped with coolness teenager? Oy! With our new longer word count at Supers, I was able to write the teen brother's point of view in THE LONG SHOT. When I did other teen characters in the past, I didn't have that luxury. I really enjoyed it. I could see myself enjoying writing more teenage points of view in the future. Thanks for stopping by. I hope you'll enjoy THE LONG SHOT when you have a chance to read it. Maybe you'll win it! One of the best things about my teenagers is watching them be the cool older cousins with the little ones. Your granddaughters are too cute exactly the way they are. I'd forbid them to grow if I were you. Note: I tried this with my kids and it didn't work. I knew you'd chime in with the love for the teen stage. But...how did your boy get to be twenty! I don't understand this at all. Here's how uncool I am...things that were in fashion when I was in high school are back in fashion but with all new names. My son asked for Sperrys and I said, "Docksiders are cool?" He didn't know what I was talking about. I bet they're not going to wind the laces into those little corkscrew barrel things we did either. Here's a photo of the lace thingy for anyone who wasn't a Preppy in the 80's. Teens , that said I don't mind reading about them. Just don't want to do it all again. LOL it even read or misread my comment as html. I was waiting for the bus one day. A teenager started talking to me. I can't remember what I said, but he told me "that doesn't mean bad anymore, it means good." I guess I'm not up to date on the current slang. Ro--you're so uncool you can't even get your comments to display properly. Ellen ~ I have teenage stories to tell you but the teenagers in my life are my great nieces and now one great nephew. I'd like to say that they are all on their best behavior when we are around but the two oldest girls have been known to explode for reasons unknown to anyone but themselves. Sometimes I can hug them out of the snit and other times hugging just makes it worse. I seem to recall a few explosions in my teens as well. They were probably just as unreasonable to my parents as the current ones are to their parents. You must push the limits somehow in life. The teenage boy is a middle child and just craves dad time which is in short supply sometimes. 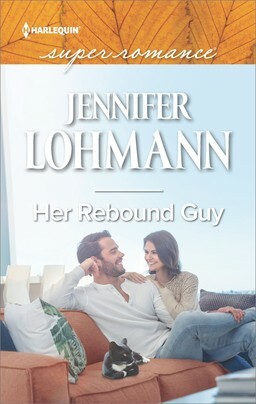 I can tell you of one teenager on a cover ~ Then There Were Three by Jeanie London Super Romance 1699 from Apr 11. I do know I have seen others but it is not common. I won an Ellen Hartman book! WooHoo! Late joining the discussion...suffering computer woes. I already pre-ordered long shot. I'm pretty sure I have all of your books Ellen :). 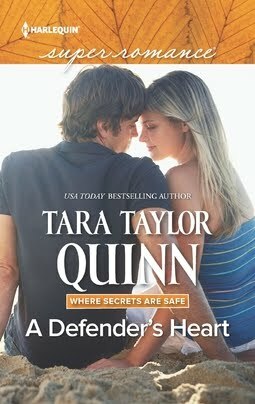 If you would have asked me if there are teenagers on the covers of super romance novels I would have said yes. I could swear I've seen some... but now that I'm really thinking about it, I'm not so sure! I think if you have a picture of the couple (like most do) and then have a teenager in the background or to the side it would be great. I love you books becauseo of teh way you write (like your sense of humor in the face of adversity) but I also like that you write teenager stories. Baby/toddler stories are cute, but they don't usually give the parents the angst that teenagers do! I think they enrich your stories! What is it with Men and Socks?